This RGB colour changing controller works with all our RGB strips to control the brightness and colour of the strip. 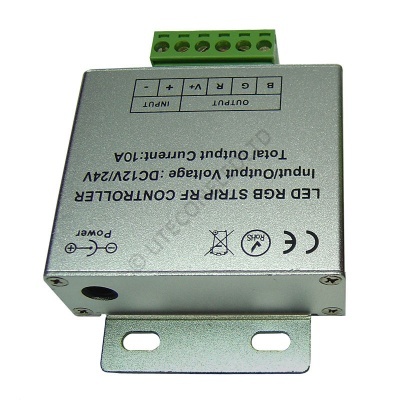 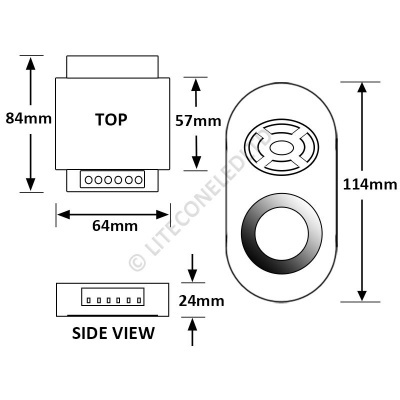 It uses RF to communicate between the controller and the remote which means that the controller can be hidden out of sight and doesn't have to be visible to the remote. 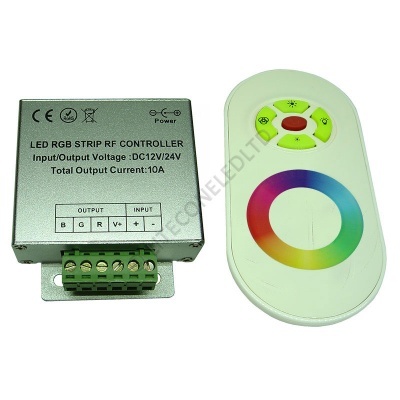 Multiple RGB controllers can also be paired to one remote so that seperate installations can be controlled together using the same remote.